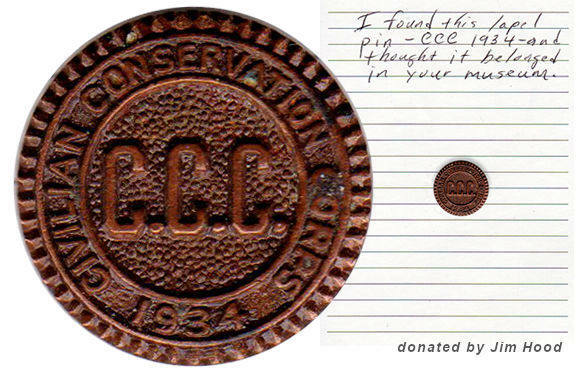 1934 CCC Lapel Pin is something you should read. 1934 CCC lapel pin donated by Jim Hood. 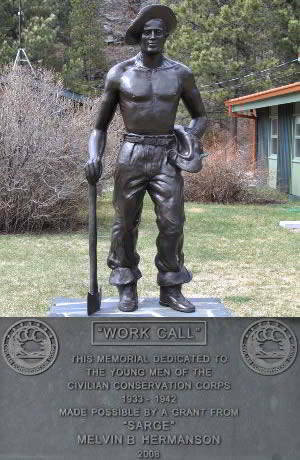 The Civilian Conservation Corps pin has been scanned and enlarge in the photo to show the detail. 1934 Civilian Conservation Corp lapel pin.